E4 Entertainment, which holds the Tamil remake rights of Vijay Deverakonda-starrer Arjun Reddy, shocked everyone on 7th February by saying that they are not happy with the Bala-directed Varmaa, and will therefore not be releasing it. While this is normal in Hollywood, this was completely new for Indian and in particular Tamil cinema. 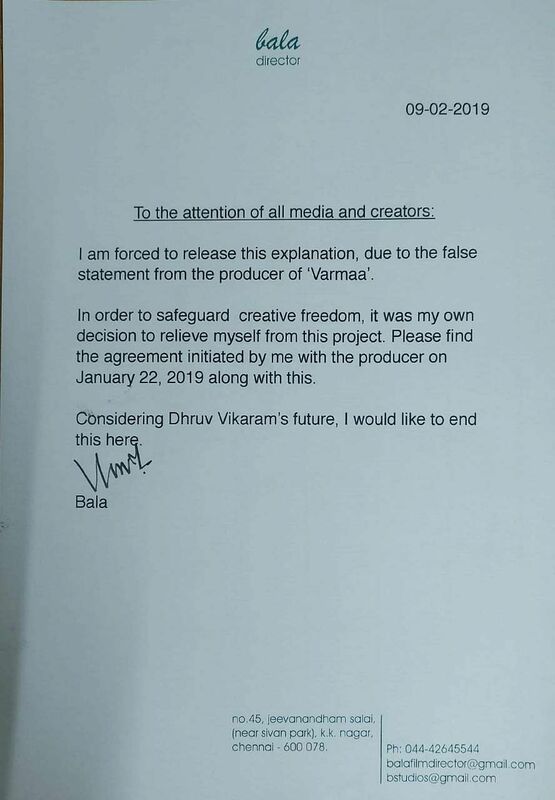 Director Bala, whose Varmaa, if released would have been the director's first remake, has released a statement commenting on this story. He says,"I am forced to release this explanation, due to the false statement from the producer of Varmaa. In order to safeguard creative freedom, it was my own decision to relieve myself from the project. Please find the agreement initiated by me with the producer on January 22, 2019 along with this." 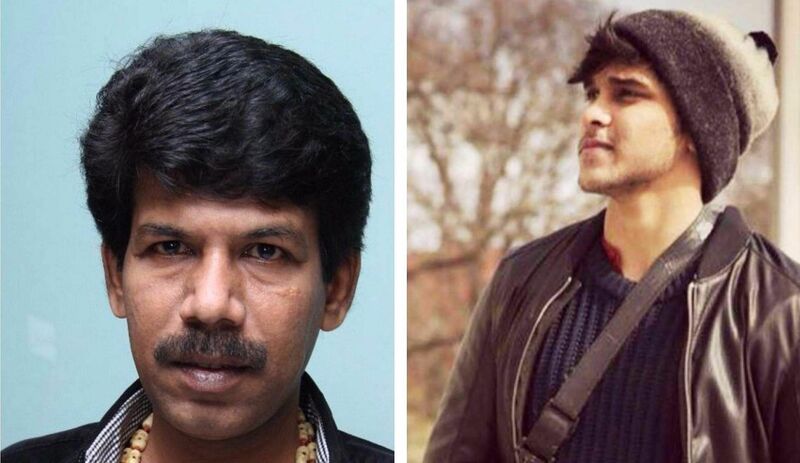 He further added that he doesn't want to add anything more considering the future of Dhruv Vikram. 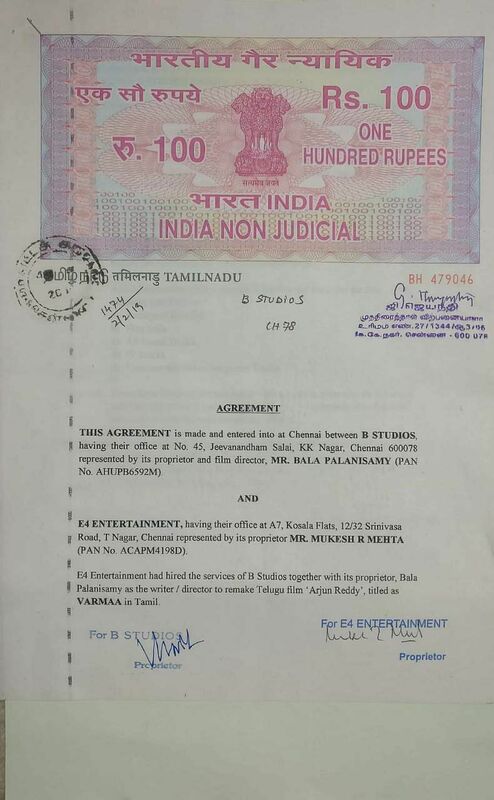 In the attached document, Bala says that B Studios was given full liberty to make decisions on the changes and choices as far as Varmaa, the Arjun-Reddy remake was concerned. The producers had asked him to make changes after they were disappointed with the final cut but Bala refused to do so. 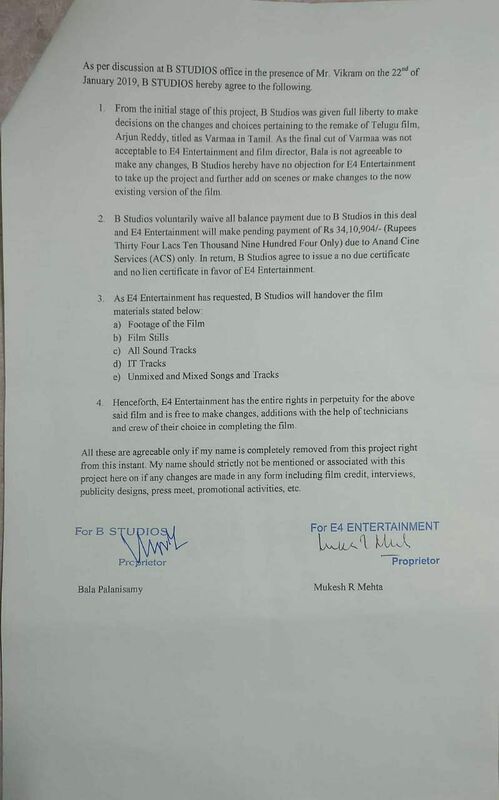 He has also said that B Studios have no objection if E4 Entertainment were to add any changes to the existing version as long as they remove Bala's name completely from the project and not to mention his name in film credits, interviews, publicity designs, press meets, promotional activities etc. He has also agreed to handover footage of the film, film stills, all sound tracks, IT tracks and unmixed/mixed songs and tracks as well as waiving the remaining amount if the producers were to adhere to the above condition.